The New Hanover County Board of Commissioners, at its meeting on January 7, 2019, appointed Mr. Rob Zapple to serve on the Authority's Board of Directors. Click on the letter shown below for a full screen view of the appointment letter. The Bladen County Board of Commissioners, at its February 19, 2018 meeting, reappointed Mr. Wayne Edge and Mr. Larry Johnson to serve on the Authority's Board of Directors with a term expiration date of September 15, 2020. 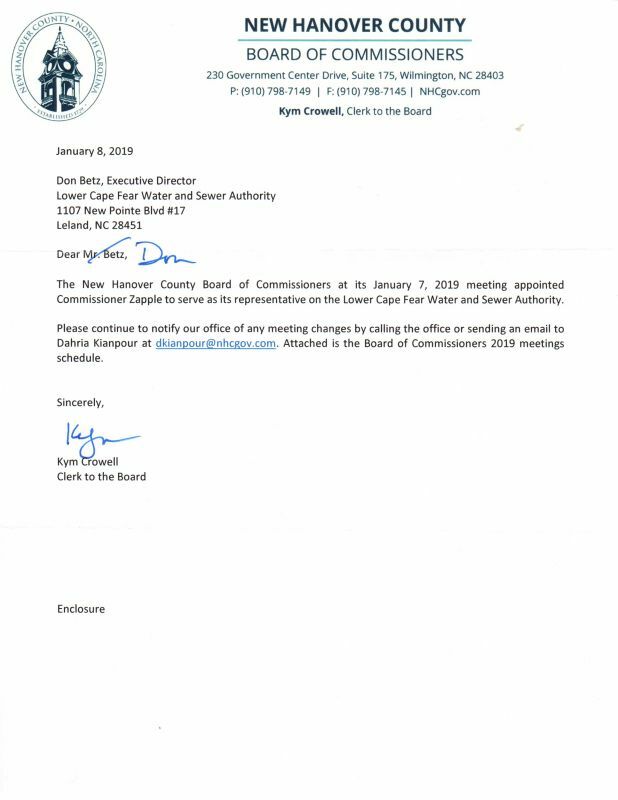 At its February 5, 2018 board meeting, the Pender County Board of Commissioners reappointed Mr. Norwood Blanchard to the Lower Cape Fear Water & Sewer Authority Board of Directors to serve a three year term which expires on February 28, 2021. 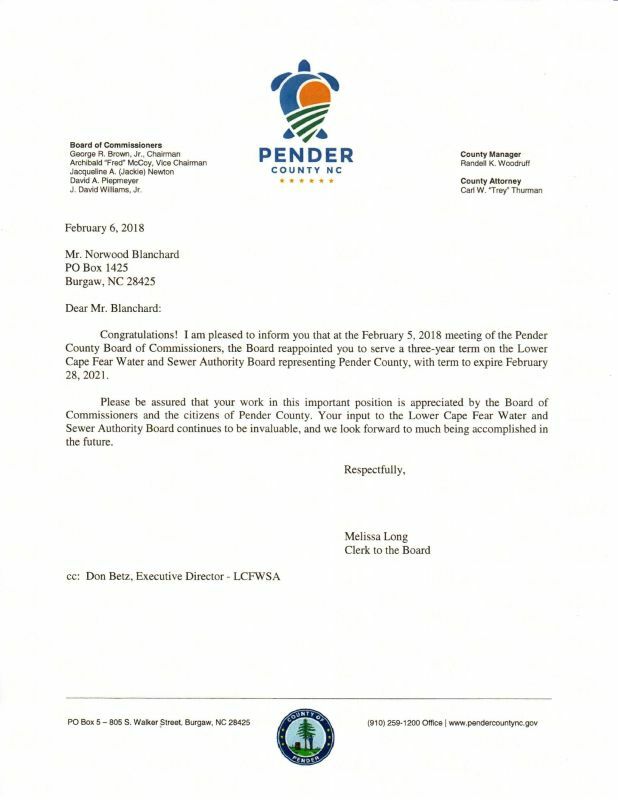 The reappointment letter is shown below.